This is only a myth. Hair transplant is only depending on the healthy donor hair. There is no proof that old people are not eligible for hair transplant surgery. In addition, hair transplant surgery might enhance your self-confidence. Moreover, it provides you a more natural and better look than other hair loss treatments. So, age is not a barrier to hair transplant surgery. Many women suffer from excessive hair loss. In our clinic, there are around 20% of the women who take hair transplant. Hair loss occurs in ladies due to pregnancy and overweight. So, this is the way to grow hair back after pregnancy. Many women who experience female pattern baldness, they are a good candidate for hair transplant. They can profit from this surgery the similar way as men. 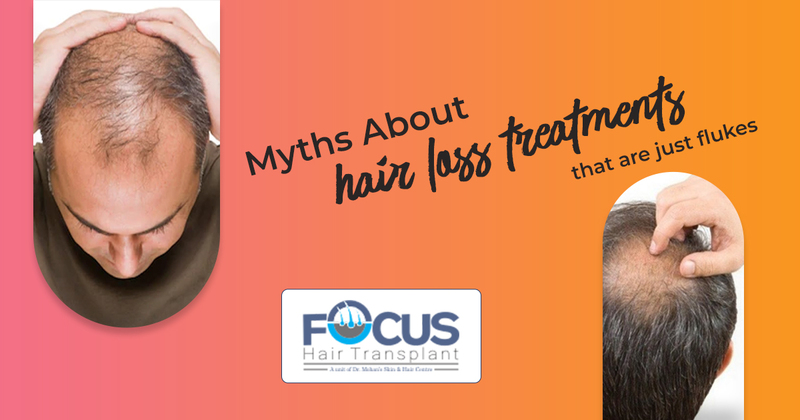 It is another myth that hair transplant develop new hair. But this is only a myth, not a truth. A hair transplant does not develop any new hair on your scalp. It is just a technique to move your hair from the back of the head to the affected area. In some cases, many men experience male pattern baldness. Even the bald person has a lot of donor hair on the back and side of the head. And it is just a myth that hair transplant create new hair. Your hair is transplanted to the affected area, which is known as the beneficiary area. Hair transplant is an easy and simple way to get rid of excessive hair loss. It is not a painful procedure because it is done under the local anesthesia. In addition, you will hardly feel little pain during the process but after some time, you will get back to normal. You have no need to take any antibiotics after the hair transplant surgery because it does not leave any scar. No, hair transplant does not give you immediate results. Your hair may take months to regrow on the affected area. You should be patient if you really want to get the best results. Since it is a totally natural procedure to grow hair back at the bald area.